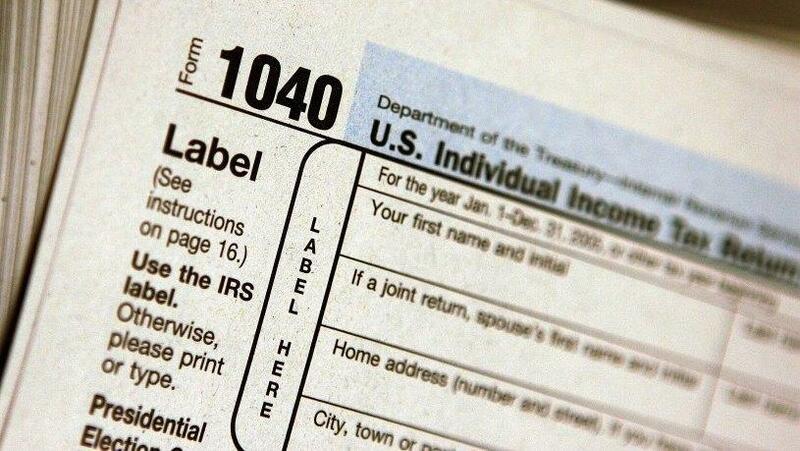 A pile of IRS Form 1040 tax documents is seen in this file photo. Personal finance experts recommend keeping most records for three years after they're used in a tax return. Personal finance software such as Pageonce, seen here in a demonstration, can help reduce the amount of paper tax records we keep. Personal finance writer Kimberly Lankford, who recently wrote about keeping tax documents in an article for Kiplinger's, says you should keep one type of record as long as you possibly can: your tax return itself — a Form 1040, and the supporting forms that go with it. Those documents can be a big help in coming years, she says — for instance, when you sell an investment, or need to apply for a mortgage or disability insurance. But that doesn't mean you have to buy a new filing cabinet to store all those papers, as she tells NPR's David Greene, in an interview for Monday's Morning Edition. "These days, you can just digitize — scan it, take a picture of it with your cellphone," Lankford says, "put it on the computer, and then you don't have to worry about it." The main reason to keep those documents is for your own benefit, Lankford says. They don't all have to be official copies — just something to help you find the information again later. For reference, the IRS has a page of frequently asked questions from people who keep their books digitally. And if a cellphone photo sounds too informal, there are other options out there. "There are some very official ways that you can keep them on PDFs," Lankford says. "There's some apps that you can get. And if you do TurboTax or TaxCut, you can keep it on a PDF that way. And that's a really good idea — at least for those first three years." 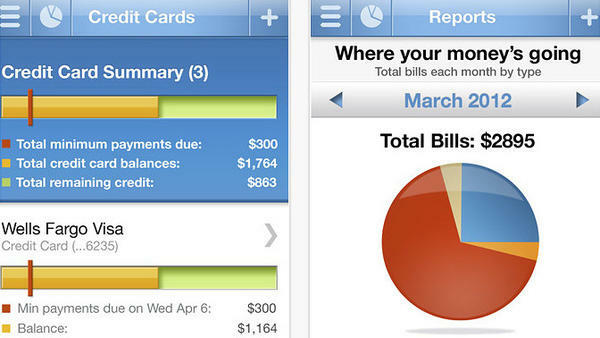 Lankford didn't name any apps — but some of the most popular ones are from Mint, Pageonce and Adaptu. More comprehensive — and expensive — options include PC programs such as those from Quicken (which, like TurboTax, is an Intuit product) and You Need a Budget. Those services also offer mobile versions of their software. The main thing, Lankford says, is to be sure that the computer you're using is secure — so the personal information you're saving will be, as well. "This time of year, there's also a lot of ID thieves out there," she says, "who are preying upon people who either are using insecure computers to include all of their tax information — because think about it: It has your Social Security number; it has every single piece of personal information that can help them steal your identity." Stock purchase receipts — with the date and price paid. Home improvement records — to offset taxes you might owe when you sell your home. If you're storing your financial records electronically, you should back up your data, so you don't lose your information if a computer's hard drive fails, for instance. Cloud storage is one option, but not everyone is comfortable beaming their financial life into a distant server. So, you might want to save copies on a DVD or CD, or even on an external hard drive. Whatever method you use, you can also use tax time as a "purge date" for some documents that are more than three years old, Lankford says. Among them are canceled checks, receipts and bills. Other items, such as monthly statements from your bank or stock brokerage, ATM receipts, bank-deposit slips and pay stubs, can be disposed of monthly, unless they contain tax-related details. "But also, be very careful about the hard copies of things," Lankford says. "Shred them before you throw them away. Because otherwise, you're going to have one big bucket of trash that has all your information in there. So just be really careful about all that stuff." Lankford admits something that will make a lot of people feel better: She hasn't done her own taxes yet. If you're a procrastinator, you have a bit of extra time before tax returns are due this year — because April 15 falls on a Sunday, and the Washington, D.C., holiday of Emancipation Day is on Monday, April 16. So, the big deadline is Tuesday, April 17. Well, as many of you know, the deadline to file your 2011 tax return is almost here. And whether you've done your taxes already or you're still going through your files, you might be wondering what papers in your large stacks you need to hang on to and which you can finally throw away. Kimberly Lankford has been writing about this very topic for Kiplinger's Personal Finance Magazine and she joined us in our studios to talk more about this. Thank you for coming by, Kim. KIMBERLY LANKFORD: Well, it's my pleasure. GREENE: Well, let's start with this question, what we need to hang on to for a long, long time to be safe. And, you know, just to make sure that we have all of our bases covered. LANKFORD: Well, the one thing that I recommend holding on to for as long as you possibly can is the tax return itself - you know, that 1040, and all those supporting forms behind it. Not necessarily the cancelled checks. You can get rid of those after three years after the filing deadline. But those tax returns can be clues - valuable clues later on if you need to figure out the basis of investments, if you're applying for disability insurance, if you're applying for a mortgage. So I say these days you can just digitize, scan it, even just take a picture of it with your cell phone, put it on the computer, and then you don't have to worry about it. GREENE: That was my question. So it's OK if you take a picture and you make a digital copy and keep on the computer. You don't have to hold on to the hard copies. LANKFORD: Well, for some of those things, kind of the clues part, where it's for your information and you're giving it to maybe a mortgage lender, things like that, you can keep it that way. But otherwise, I mean there are some very official ways that you can keep them on PDFs. There's some apps that you can get. And if you do TurboTax, or TaxCut, you can keep it on a PDF that way. And that's a really good idea - at least for those first three years after you file the return because that's how long the IRS has to audit you. So that's the key time for keeping all those supporting and official documents. GREENE: OK. So if we've put all of our tax documents for the last three years - our 1040s forever, if we hold on to those things - now I guess the more fun part: what can we just rip up ands shred and just toss and burn? LANKFORD: Well, this time of year is a great time to go through all of those records from further away than three years ago, and after that tax filing deadline you can get rid of all those cancelled checks, those receipts, things like that. So, all that stuff that makes that tax file so big. Also, at the end of the year, there's so many records that become redundant. For example, if you've been keeping your paystubs throughout the year, once you get your tax records at the end of the year to find out what your total salary was, what your taxable income is, make sure that they all add up - and that everything's included, nothing's strange is in there - you can get rid of those paystubs. LANKFORD: Most. Exactly. One of the exceptions is people who are wondering about their tax basis and all the information about when they purchased the stock. I recommend you keep those acknowledgments of stocks purchases for as long as you own that stock, because when you sell it you're going to have to report the sales date, the amount you originally paid and what you sold it for on your tax documents. GREENE: OK. Let's just go through our checklist so far: 1040s, keep them forever, all the other supporting documents, keep them for three years, then you can throw them away. And then this is a good time of year to go through all those supporting documents from years before three years and toss all of those, except hang on to records of stock purchases. LANKFORD: Another key thing to hang on to for longer than that is any major home improvement you've done. And interestingly, the tax law changed a few years ago, so people, most people no longer have to pay capital gains taxes on their home sale profits. If you're single and have lived in the house for two out of the last five years, then you can exclude up to $250,000 in gains from your taxes. If you're married, you can exclude up to $500,000 in gains from your taxes. So that means if you bought your house for $200,000, sell it for $700,000 you won't have to pay taxes on it. Anything above that though will be taxable. And, if you've made major home improvements through the years, you can use those to lower your tax bill. GREENE: Have you done your taxes yet, Kim? GREENE: That's going to make people feel a lot better. GREENE: It's OK. There's still time left for everyone then. Kimberly Lankford writes about personal finance for Kiplinger's Personal Finance Magazine and for Kiplinger.com. Thanks so much for coming by. LANKFORD: Well, thank you. Transcript provided by NPR, Copyright NPR.